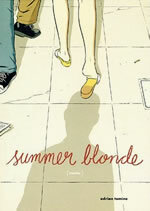 Adrian Tomine (pronounced toe-mean-ay) was born in Sacramento, California in 1974 and his childhood was spent in various small towns along the West Coast of the USA as well as a year spent in Europe at the age of 13. He studied English at the University of California and currently resides in Berkeley, California. He has been producing his comics since he was 17. “I became painfully aware of my detachment from any type of social interaction early into my freshman year. It was one those quite weekend nights when even my parents were out having fun that I began making serious attempts to create stories in comics form. 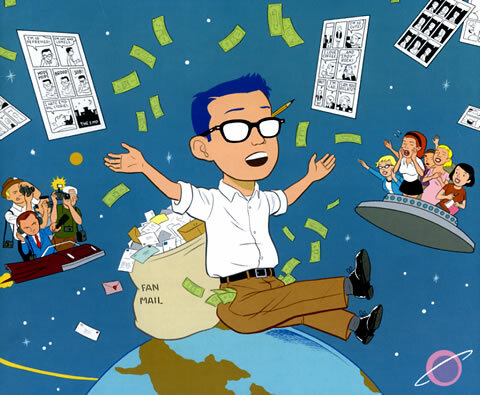 It was a cheap way to keep myself occupied, and when a strip started really coming together, I actually forgot that most of my peers were interacting and socialising.” A particularly strong early influence was the comic Love & Rockets by Jamie and Gilbert Hernandez, which he began reading at the early age of 13 despite its adult themes and content. Eventually, he received a Xeric grant to publish the seventh issue of his mini-comic, Optic Nerve, and since those early days he has gone on to develop he own Gen X sensibility within alternative comics. Ben Tanaka has problems. In addition to being rampantly critical, sarcastic, and insensitive, his long-term relationship is awash in turmoil. His girlfriend, Miko Hayashi, suspects that Ben has a wandering eye, and more to the point, it’s wandering in the direction of white women. This accusation (and its various implications) becomes the subject of heated, spiralling debate, setting in motion a story that pits California against New York, devotion against desire, and trust against truth. By confusing their personal problems with political ones, Ben and Miko are strangely alone together and oddly alike, even as they fly apart. Being all too human, they fail to see that what unites them is their shared hypocrisies, their double standards, their human shortcomings. With a deft and romantic touch, Tomine portrays the emotional lives of drifting, urban twenty-somethings. His fans accuse him of eavesdropping on their most intimate moments, revealing truth with forensic detachment and surprising compassion. Tomine has both talent and a writer’s eye for the truth. Lessons in urban survival. Collecting the first four issues of Adrian Tomine’s acclaimed comic series, Optic Nerve, this book offers sixteen concise, haunting tales of modern life. The characters appear to be well adjusted on the surface, but Tomine takes us deeper into their lives, subtlety examining their struggle to connect with friends and lovers. 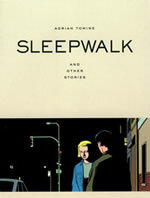 In 1991, Adrian Tomine self-published the first issue of Optic Nerve. Consisting of three xeroxed sheets of paper and a print run of twenty-five, it was a less than auspicious, largely unnoticed, debut. In the following three years, Optic Nerve developed at a rapid pace: the artwork and writing evolved with each story, production quality improved, page counts increased, and by issue seven, sales had reached six thousand. 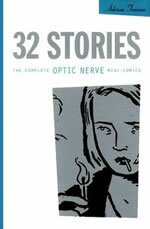 32 Stories presents those rare, early mini-comics collected for the first time in a single volume. Scrapbook is a comprehensive collection Adrian Tomine’s difficult to find, non-Optive Nerve comics and illustrations from the past 12 years. Here you’ll find the complete run of strips which was originally published in Tower Records’ Pulse Magazine which Adrian started when he was only 17, along with comics originally published in Details and a host of other magazines of the past decade. 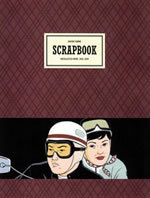 A large section of scrapbook is dedicated to Tomine’s extensive illustration and design work, featuring his best material over the years from virtually every major publication in America including The New Yorker, Details and Esquire. 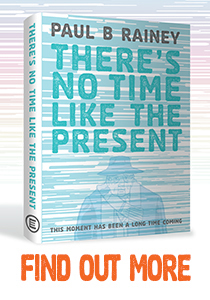 Tomine’s art has also graced popular album covers and posters for bands such as The Eels and Weezer and posters and it’s all included here in this beautifully packaged book.